With rugged designs, and a stringent dedication to demanding production, quality and material specifications Reggiana drives are ideally suited to agricultural applications. 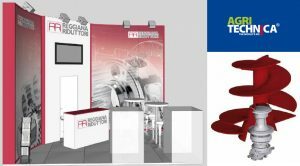 Be it diet feeders, wheel/track drives or conveyors, Reggiana is a name that can be trusted and we would welcome visitors to our stand. We are also pleased to release two new brochures to coincide with the exhibition. Covering Auger Drive range and the new RRWD1800 wheel drive range.